Your options range from cutting-edge theoretical and applied science, like biochemistry and marine biology, through to new interdisciplinary fields such as bioinformatics. Throughout your degree you will develop a deep conceptual understanding of modern biology, strong practical and analytical skills, and the intellectual agility essential for lifelong learning. In your first year, you'll study core science courses. From your second year onwards, you'll choose a major that suits your interests and career plans. Undertake laboratory work in state-of-the-art facilities or fieldwork and, in your final year, you can participate in industry internships to gain employment-relevant experience. 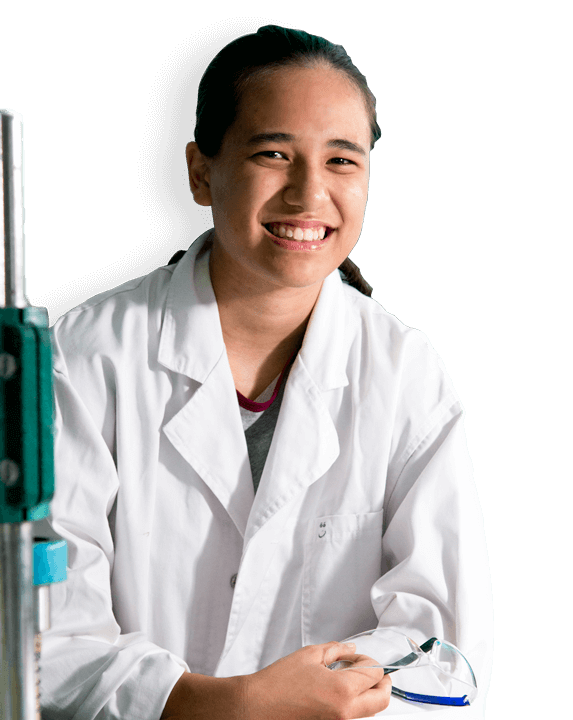 The majors within biological science are part of our Bachelor of Science program giving you a flexible, interdisciplinary and innovative course offered on both our Nathan and Gold Coast campuses. We offer a diverse range of courses in the biological sciences field of study ranging from the human sciences to wildlife biology at both undergraduate and postgraduate level. This provides you the opportunity to follow your passion and land your dream job. Caitlin Chan earned an OP 1 at school and was awarded the Dean's Sir Samuel Griffith scholarship. Caitlin's outstanding results meant that she could have gained entry into almost any degree program, but she just wasn't sure which career path was right for her. Caitlin chose a Bachelor of Science degree because it offered her so many options to explore. Depending on your major, you may find employment in hospitals and medical research institutes, pharmaceutical and biotechnology companies, or in private sector activities such as consultancy, policy analysis and development. You may also choose to undertake a fourth year research honours program, which can lead to a PhD and a career in research. Not all science graduates work as scientists - the transferrable skills and methodology developed through your degree provide a springboard to any career where critical thinking, the ability to analyse and investigate new information and evidenced-based decision making are valued.